Ancestor’s Call is a 4 Mana Cost Epic Shaman Spell card from the Goblins vs. Gnomes set! 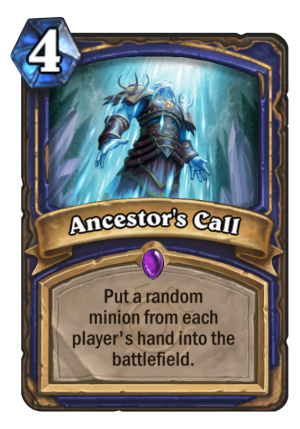 Put a random minion from each player's hand into the battlefield. Rating: 3.0/5. From 189 votes.